Ready to escape from the big city and do some 4-wheeling? Want to get a feel for scenic routes but don't have a lot of time to do so? 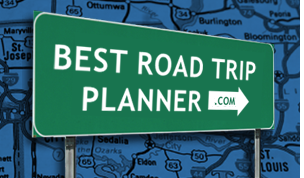 A road trip to Connecticut (CT) is your premier travel option. With colonial history, Atlantic beaches and seaside villages, Connecticut is a fun-packed road trip destination for families, couples and college kids alike. Connecticut's River Valley region offers beautiful scenery, historic sites, fascinating museums and intriguing attractions. Route 169 is a popular road trip that takes you to museums and antique shops. Some scenic drives can also be explored in the Litchfield, Mystic, Northeast Corner, Waterbury and River Valley areas of the state. Connecticut road trips are sure to recharge your emotional batteries and fill your mind with a wealth of memories!